People visiting Siesta Key today would be hard-pressed to visualize what it looked like in the 1950’s. There were only about 3,000 residents, few businesses, no high-rises and miles of open beachfront. It was beautiful, serene and waiting for the future. John Davidson saw all the possibilities in that future and stepped right in. The first Davidson Drugs was on Ocean Blvd where Beach Bazaar is now. 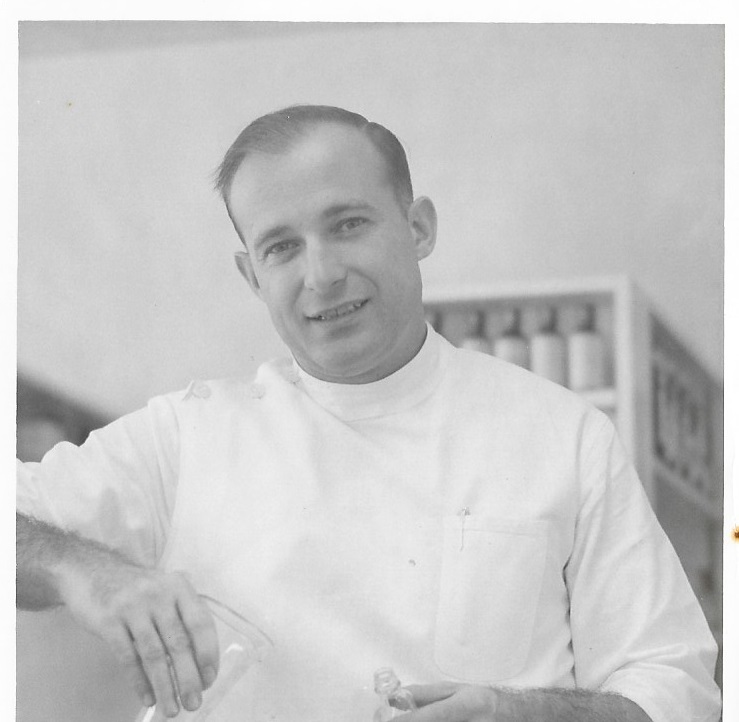 He was a working pharmacist, having attended Duke University and the University of Colorado in Boulder. He thought he’d like to move permanently to Colorado, but returned to his home in Elmhurst, a suburb of Chicago, to help out in the drugstore where he had worked while in school. A week’s vacation in Florida changed his mind about Colorado. He interviewed with five companies, choosing Wyeth as it would allow him to be based in Sarasota. He became a pharmacy rep serving the area from Bradenton to Everglades City while he looked for a location to open his own drugstore. “It was a good job and a good company.” Two years later, he selected Siesta Key as having the most potential. 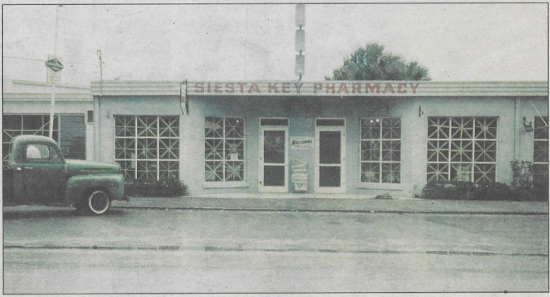 Other pharmacists in town thought he was crazy since Siesta Key was so undeveloped; but John could see the future and, in 1958, he opened his first drugstore. It was only 1,600 square feet and located in part of what is now Beach Bazaar. 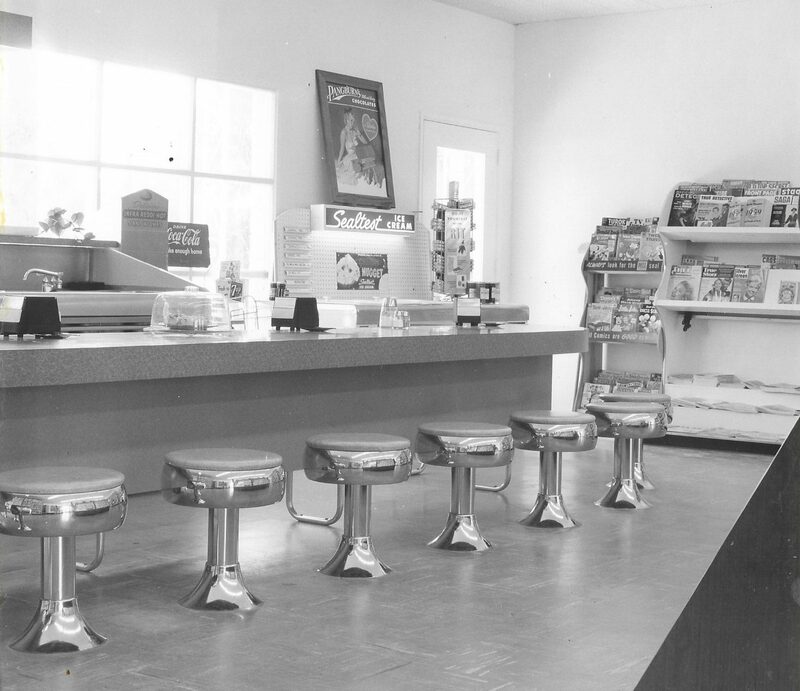 In addition to the usual pharmacy items, there was a sparkling soda fountain, magazines and sundries. John was known to make an excellent ice cream soda when he wasn’t filling prescriptions. At the time, there wasn’t much to Siesta Village. Other than the new drugstore, there was a grocery store, hardware store and sundries shop. Most of the rest of the village consisted of unique gift shops located in small cottages, which John remembers as charming and nicely merchandized. John worked 80 hours a week for a number of years. Early on, one visiting pharmacy owner commented that he did not have much inventory. “I did not have much money, so I would order just one tube of something, and when it sold, I’d order another to replace it. After a while, I had more money and I’d order two tubes,” he said, chuckling. A few years later John decided he needed more space for a larger store. He and Dr. Freeman Epes partnered in building Siesta Village Plaza. They started with just the drugstore, doctor’s offices and dentist offices as the original tenants. Eventually they added stores to the north and then the ones to the south. John continued to buy real estate in the village as it became available. He knew everyone on the key and considered them all friends as well as customers. By 1965, he had seen enough growth to know that the island could use a second drugstore, this one on the south end. Soon the second location was opened in what is now the Captain Curt’s complex. It had previously been a motel with a swimming pool in the center space. There were numerous accommodations in the vicinity and plenty of customers to go around. The store remained in that location for 10 years, until the landlord tripled the rent. At that time, John decided to build his own location, which is the site of the present store on Midnight Pass Road. Ultimately John – or Mr. D. as most of his employees call him – went on to open seven stores, including the current one in Midtown Plaza. There are three stores now, as well as a location at Plymouth Harbor, which has been there since the retirement development was first opened. John says that for many years his stores were considered the best merchandized on the entire west coast of Florida. Obviously, John has seen a lot of growth in Sarasota, “not all of it good.” When he first came, there were no condos on the key, only mom and pop motels. By the mid-1960’s, Midnight Pass Road had been named “condo row” although they were all low, one-story buildings. It wasn’t until the early 1970’s that the first high-rise, The Terrace, was built on the beach. In 1971 John and his wife started The Key News to the Key, a monthly newspaper with local news – and plenty of space, of course, for Davidson Drugs advertising. By late ’72, the paper went bi-weekly, then weekly. A number of years later, a contest was held to re-name the newspaper. The winner was Siesta Key Pelican, though not everyone agreed with the choice. In later years, the Siesta Key was dropped and it became The Pelican Press because the circulation was over 30,000 and it was delivered on the mainland as well as the key. It became a very successful publication, winning many awards as one of Florida’s best weekly newspapers. After publishing the paper for twenty-seven years, John sold it to Journal Community Publishing Group out of Milwaukee, Wisconsin on June 1, 1998. John has never lost his interest in both Siesta Key and Sarasota and their continuing development. He has been a vocal supporter of Siesta Key and its beautification, serving on just about every organization on the key, whether profit or not for profit. He has always advocated for better zoning and anything that will make Siesta safer and more beautiful. He also served on the Sarasota County Planning Commission for three years. In addition, he was a founder and president of the Argus Foundation and has served on boards or as president of numerous organizations such as the Sarasota Memorial Hospital Foundation, 17 years on the Selby Foundation Board, The Selby Gardens Board, numerous bank boards and much more. One thing he mentioned proudly was his role in the formation of the first Cub Scout pack on Siesta, which, as an Eagle Scout, was especially important to him. John remains active, mostly managing his real estate investments, whether here in Sarasota or from his summer home in North Carolina. John and his wife, Rita, are active golfers and tournament croquet players. They are also world travelers, having visited all seven continents pursuing John’s interest in wildlife photography. 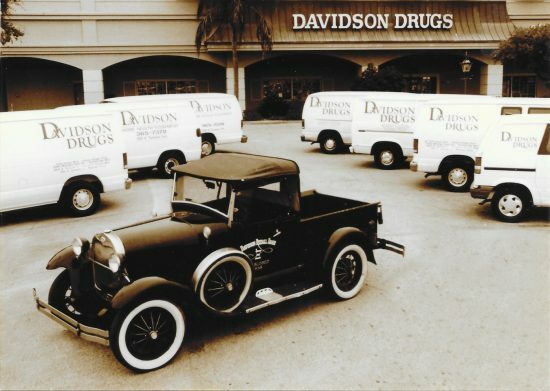 In 2000, John assumed the role of CEO, and his son Richard became president of Davidson Drugs. Son Bob (Richard’s twin) owns a separate division of Davidson Drugs, Davidson Home Health. John’s daughter Suzanne is married to Rick Munroe, and together they own Sun Garden Café in Siesta Village. Youngest son John, Jr. is a developer in Atlanta. Oldest son, Jib, lives in Gainesville and youngest daughter, Brooke, lives in Lakewood Ranch. Twelve grandchildren complete the family. 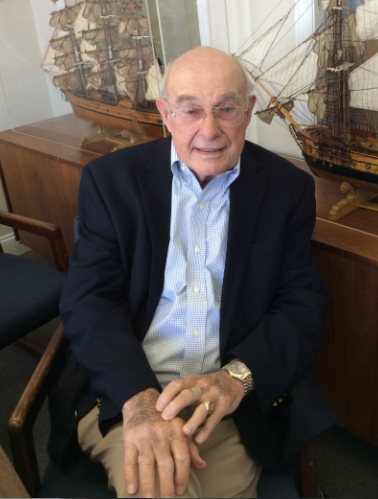 After 60 years as a business owner on Siesta Key and the mainland, John is still interested and involved in many civic programs and still ever supportive of Siesta Key and Sarasota and their growth and progress. Next Next post: Is now the time to consider Siesta Key beach paid parking?